Graduate Studies are offered in 4 areas of study. 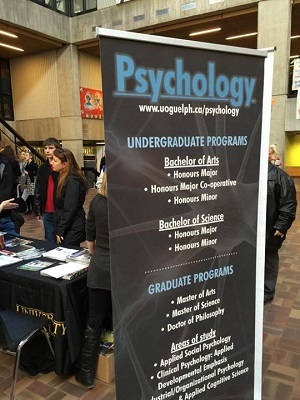 Recent graduates have pursued advanced studies in psychology, business, law, medicine, and social work at leading universities in North America. The Masters and Ph.D. graduate programs provide specializations in Applied Social Psychology, Clinical Child and Adolescent Psychology, Industrial/Organizational Psychology, and Neuroscience and Applied Cognitive Science. Recent graduates from these programs have assumed academic positions in universities across Canada, as well as research and consulting positions in business, social service agencies, and hospitals. All programs foster an appreciation of psychology as a science and the practice of psychology in accordance with the highest professional standards.